The CRF450RX’s Programmed Fuel Injection (PGM-FI) settings contribute to the engine’s strong low-end torque, remarkable top-end power and generous over-rev capability. 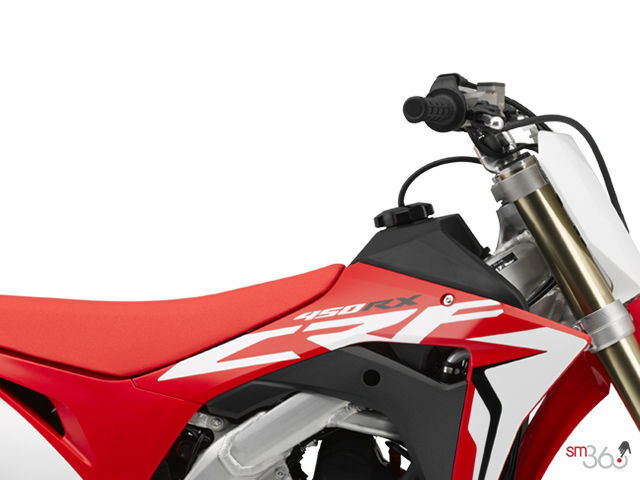 The CRF450RX’s Engine Mode Select (EMS) system lets you modify fuel-injection and ignition mapping with the simple push of a handlebar-mounted button. 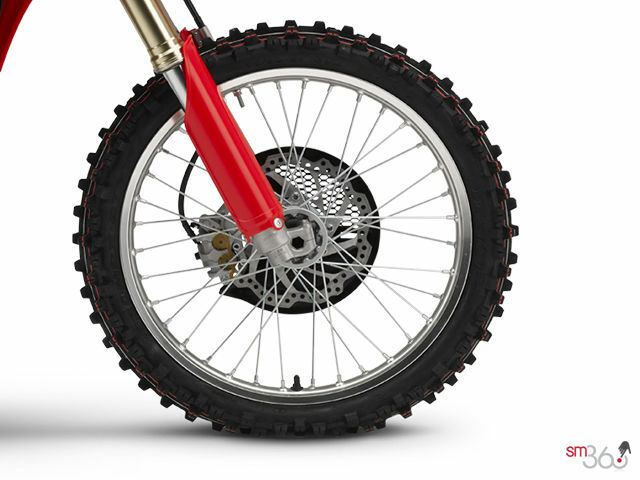 Choose between Standard, Smooth and Aggressive to dial in the best power curve for better starts, better drive out of corners, better traction, or simply to better suit your riding style. Mode selection is easily accomplished without changing your hand position or shutting down the engine (as long as the engine is idling). 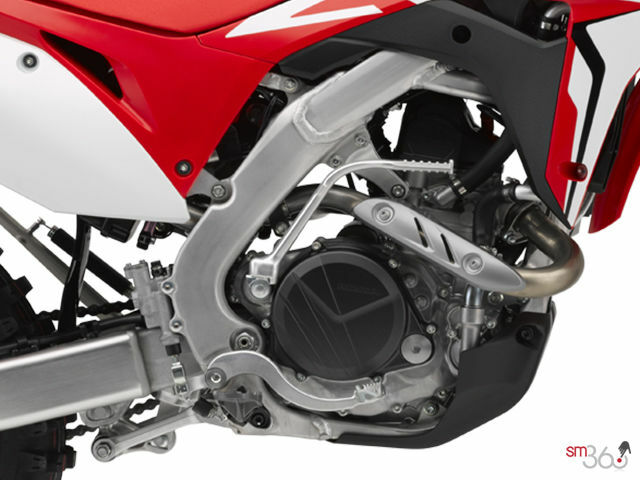 The CRF450RX’s twin-muffler exhaust system not only contributes to the engine’s exceptional power characteristics, it’s also positioned tightly to the frame’s centre to take weight off the rear end and optimize mass centralization for improved handling. 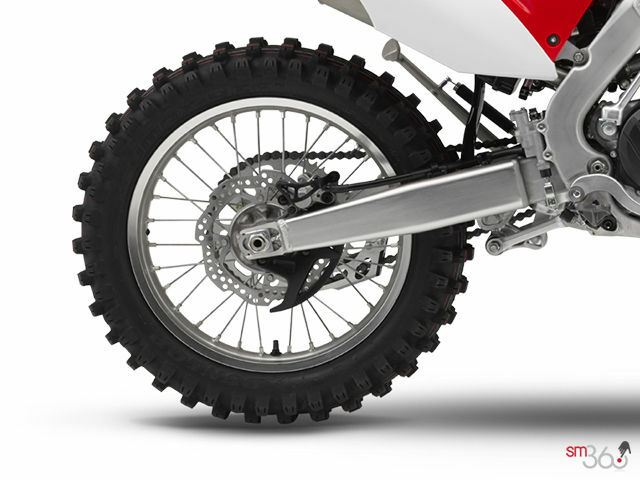 Transmission ratios and final gearing are unique to the CRF450RX for optimum performance on cross-country and endurocross courses. 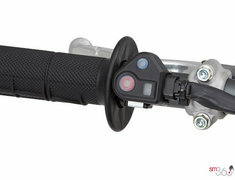 Extra-strong transmission gears enhance durability while delivering smooth, sure shifts. 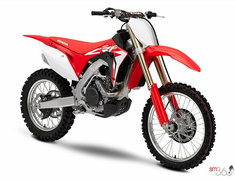 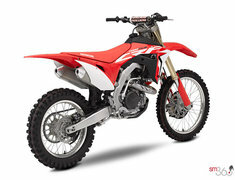 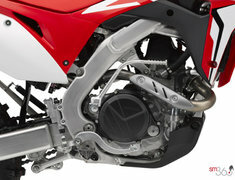 The CRF450RX’s twin-spar aluminum frame is shared with the CRF450R. It’s lighter for 2017, and its torsional stiffness has been reduced to give you more feedback and to improve turn-in and corner-exit performance, without giving up high-speed stability. The Unicam engine that powers both the CRF450RX and CRF450R has been radically improved for 2017, with more horsepower, more torque, and a higher rev limit. 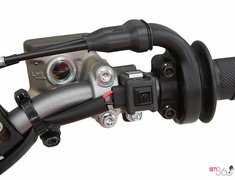 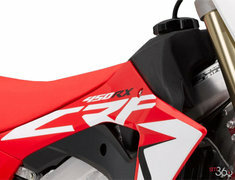 The RX’s engine has special ignition mapping to suit the unique demands of cross-country and endurocross competition. The CRF450R-spec chassis, with revised swingarm location, centralized rear shock, and other improvements for 2017, boasts a lower overall centre of gravity and a shorter wheelbase that contribute to the type of precise handling that carries you to the front and keeps you there. 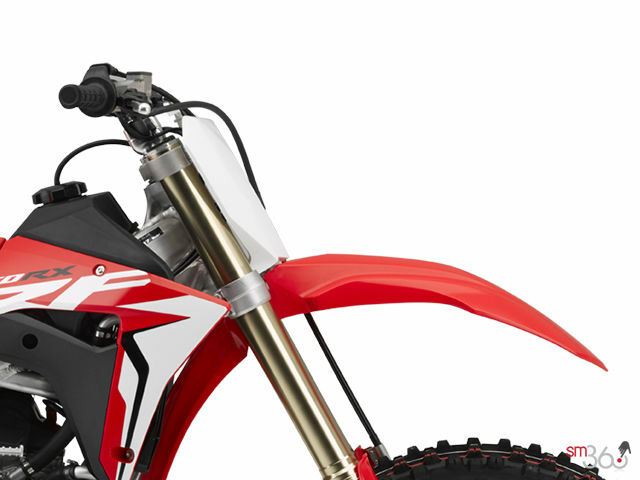 Easy to tune to match changing track conditions or your riding style, the CRF450RX’s new Showa coil-spring fork was developed to work in conjunction with the improved chassis for enhanced traction, agility and stability. Settings for both the fork and the shock are unique to the CRF450RX. 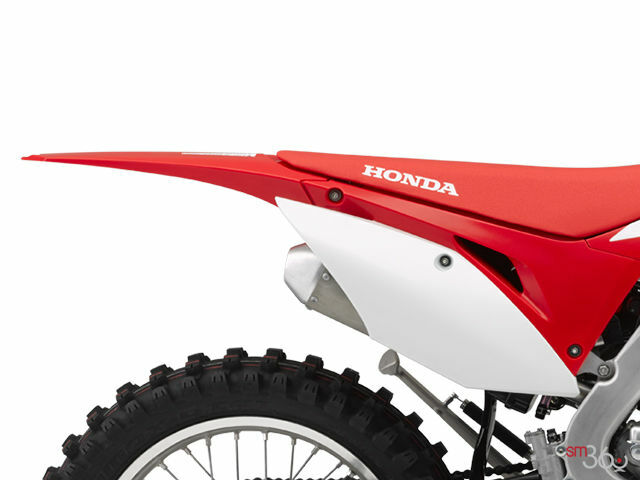 The front fender and tank shrouds are designed to optimize airflow to the radiators, keeping the engine running at peak efficacy from start to checkered flag. 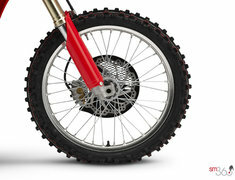 Dunlop AT81 tires – the rear on an 18-inch wheel – offer excellent traction in a wide variety of conditions. 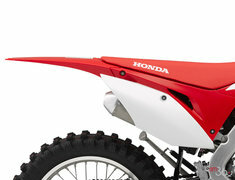 The CRF450RX’s 8.5-litre plastic fuel tank is larger than the CRF450R’s, providing extra capacity for longer races. 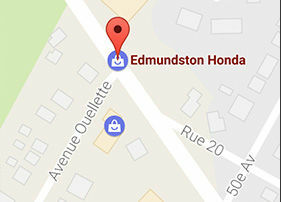 Need to make a quick on-course pitstop? The standard sidestand means you don’t need to find a nearby tree to keep your CRF450RX upright. Smoother CRF450R-spec bodywork with fewer edges for 2017 allows you move even more freely in the CRF450RX’s saddle, while improved durability of plastic components and graphics keeps your CRF looking new win after win. 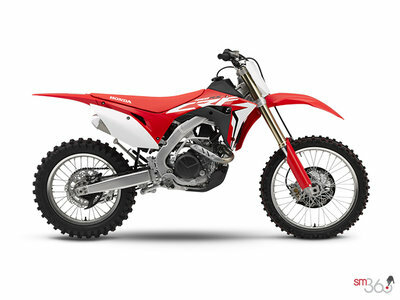 Did you like the 2018 Honda CRF450RX STANDARD?